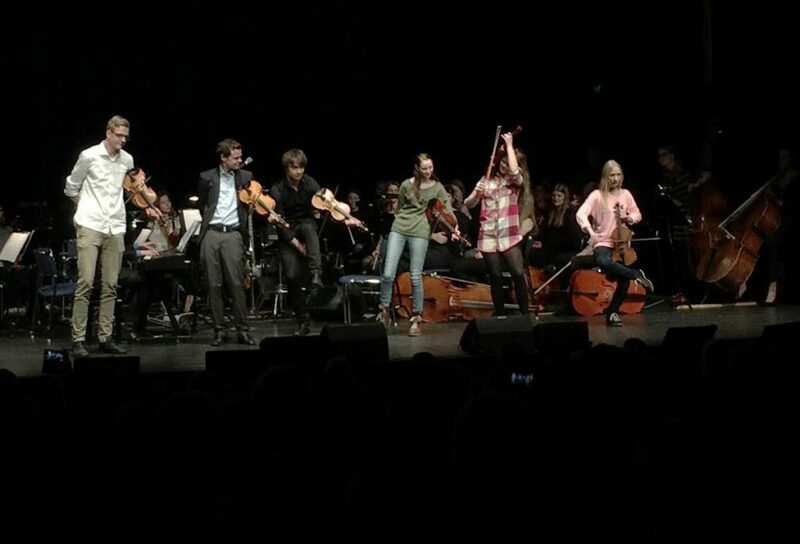 The Johnny B Goode of violinists, mixed WITCHES ‘DANCE with Jerry Lee Lewis in a successful concert with the county’s arts schools. 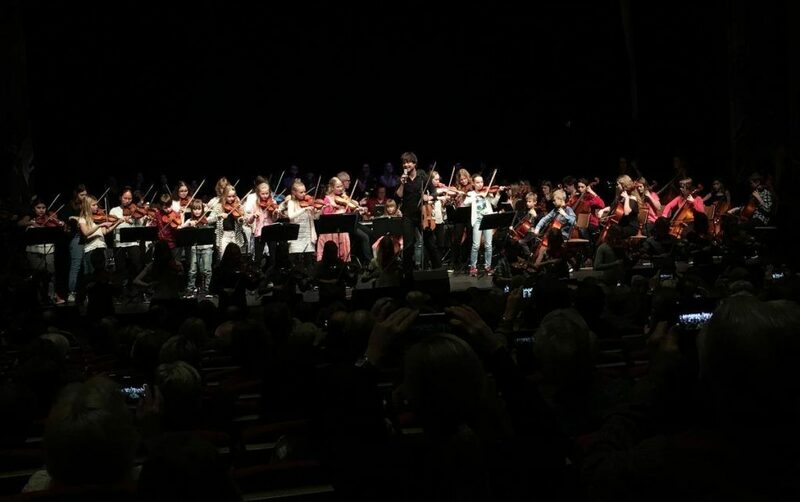 It was the culmination of a two-day camp, where Alexander Rybak was mentor. 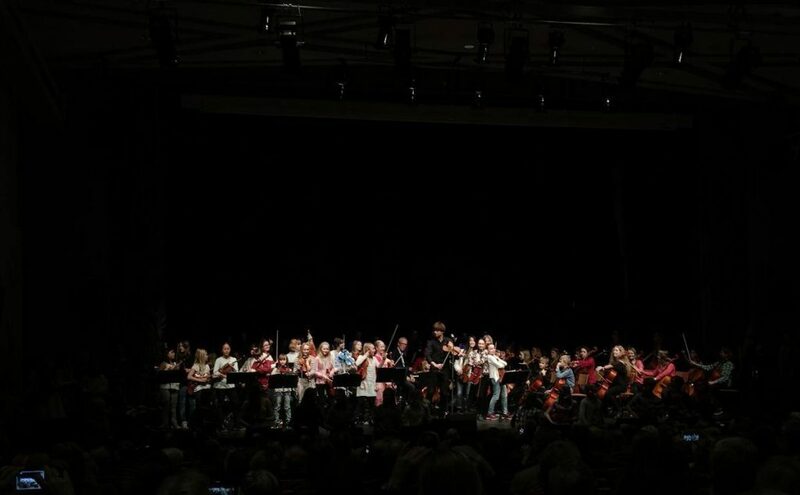 About 80 string students from the county’s arts schools, more than 40 of them from Kalmar, took Friday their violin and cello boxes and went to Vastervik for a two-day camp. 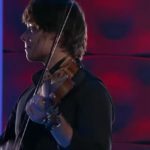 Specially invited was the winner of the ESC 2009 Norwegian violin virtuoso Alexander Rybak. Already on Friday, he began practicing with the children, and also did the performance to sign autographs for all the kids. 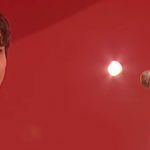 Since it was practiced on including winning song Fairytale from 2009 but also some beautiful newly written songs in folkviseton that would be presented during the two-hour concert on Saturday. 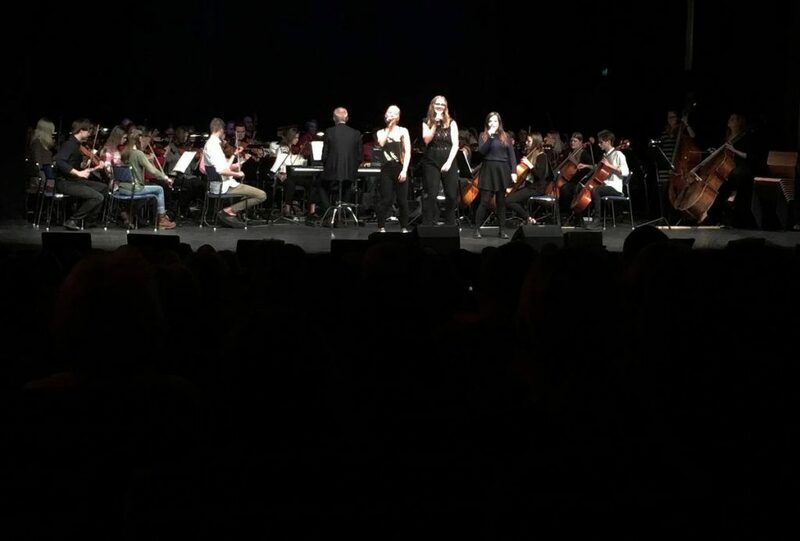 The concert began with the older students at the arts school, which in an excellent manner began to take on Adele’s song Rolling In The Deep. Students also hailed by Rybak, who explained that it was an honor to play with not only the nicest but also the most talented musicians. Large part of the concert he played with the students, but there were also some solo performances involved. 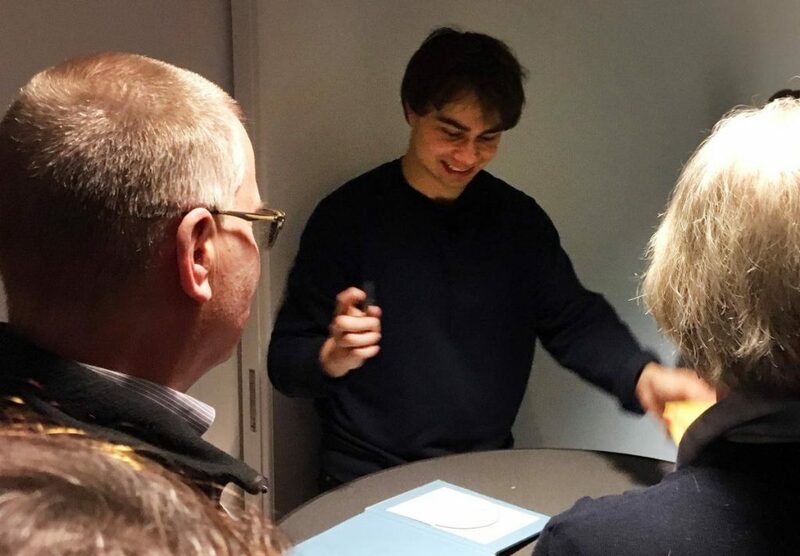 Shortly before Rybak plays Häxdansen, a work he himself was fascinated by the age of eight, and since then decided to learn, I think he’s a bit like Johnny B Goode Chuck Berry’s song, he can play as easy as calling of a clock. Amidst Häxdansen he breaks also and do Häxdansen a medley, which he sticks with any verse of Jerry Lee Lewis singing Great Balls of Fire, before returning to Häxdansen. – You can play everything on a violin, he explains. 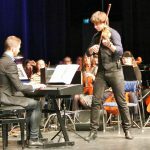 The entire concert is playful, and there are also some stunts where Rybak and five other violinists play with his own bow at each other’s instruments. 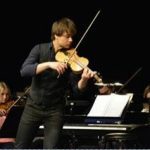 Rybak is constantly free from d’oeuvres and it seems that he thrives in the full concert hall in Vastervik theater and conference. He ensures that the children receive a portion of the star shine. When singers from Västervik sings Abba as he sits inconspicuously with the rest of the orchestra and play as one of them. 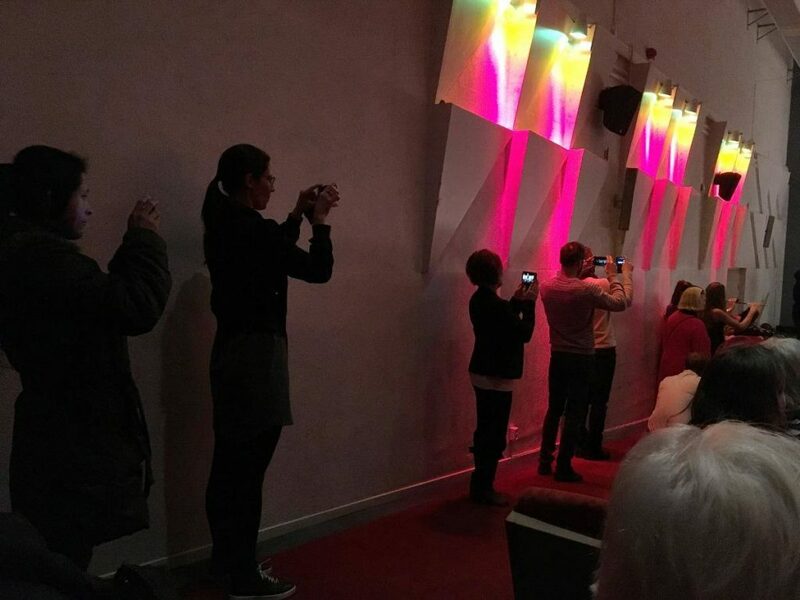 As the last song ensemble run a replay of Fairytale, and before that Rybak ask the audience to put down their phones and experience the concert in full, in true HD, rather than to see it through a mobile phone screen. All complied with the request, and it will be a nice end. It had agreed to sell out a concert, but organizers chose not to do so, on the grounds that the camp in the first place was for the children. An extra two-hour concert had been tough for them. 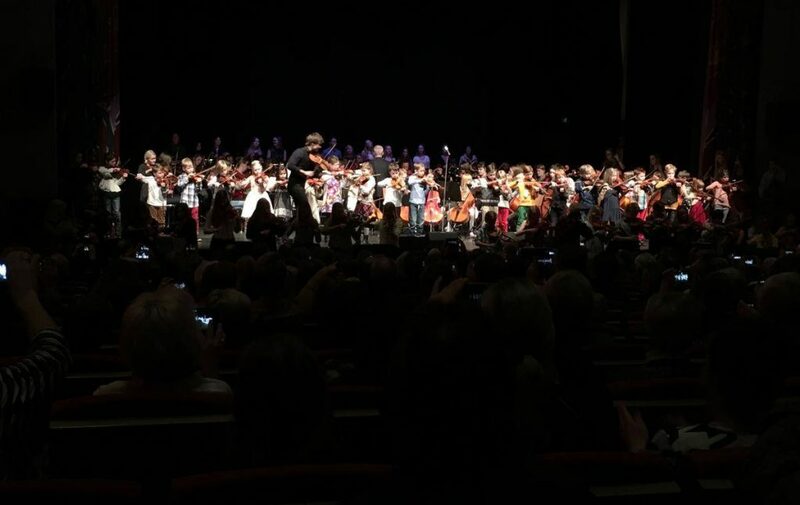 For the kids, it was a great experience, and the bus home to Kalmar danced the young musicians of joy. 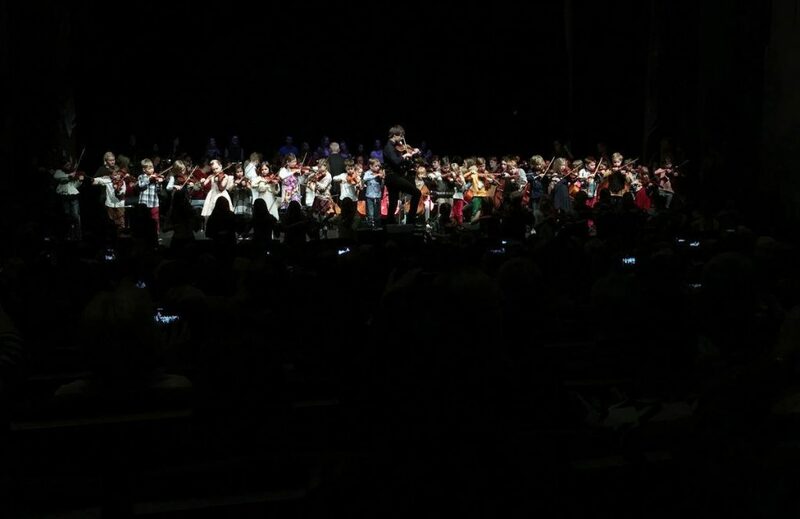 Alexander Rybak didn´t steal the show, but let the children be in focus. Here, he sits among the Orchestra on the far left.